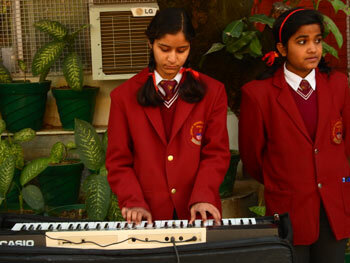 The School follows workshop method of instruction & students are encouraged to learn by doing practically. 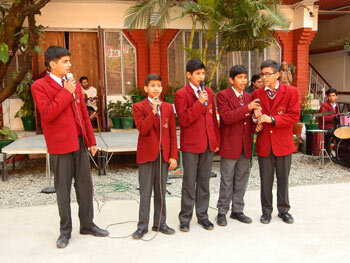 The school has highly qualified and competent staff. All the teaching staff is trained and well versed in their subject. School maintains four seprate laboratories each for Physics, Chemistry, Biology and Computer Science. These are equipped with adequate facilities and modern equipment. Internet facility is open to students to help them undertake project work. 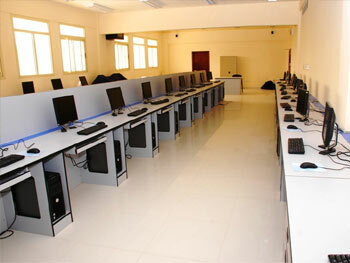 Well equipped computer lab has latest configuration and updating of software s given top priority. We believe that a child after learning in the school will be fully equipped to deal with any aspect of computer based learning. All classes are imparted audio visual education. Films shown are graded keeping in mind the requirement of each class. 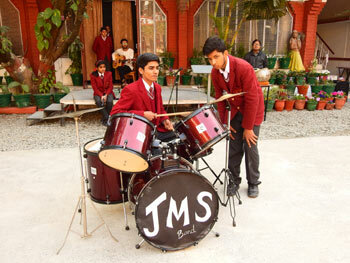 The school has three separate well equipped and spacious labs for physics, Chemistry and Biology. There is a separate integrated Science lab for middle school students. For better understanding and learning the basic concept of Maths we have developed Maths lab, which is equipped with materials specially designed for kids. The School is imparting Computer Education as part of the curriculum. It is part of Intel's Teach to the Future Program. This helps the students to keep pace with the changing technology scene in their Mathematics and Science lessons. It develops their interests in advance scientific studies. The students are, however, expected to look after their general safety and hygiene themselves. Though the students are under the care of the School authorities, they will not be held responsible in case of a student hurting or injuring himself/herself during in-school or outdoor/adventure activities.